The DiaSpect Tm is a hand held POC hemoglobin analyzer using reagent free microcuvette technology to give hemoglobin results in under 2 seconds. The device is highly portable with up to 10,000 tests continuous use battery life, within 40 days of use. The reagent free cuvettes also have up to two and a half year shelf life, even after opening, making the device highly suited for testing in remote and/or hot and humid environmental conditions, or for sites with low test volumes. 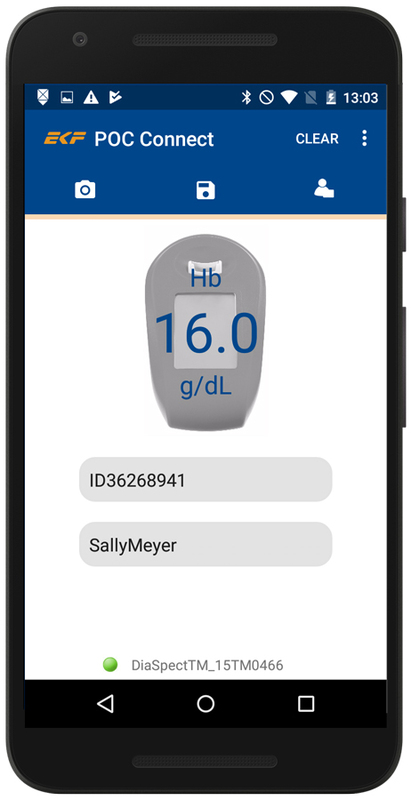 POC Connect is a simple android application that enables you to store, access and transmit hemoglobin results directly from your DiaSpect Tm device to a smartphone via Bluetooth® technology. 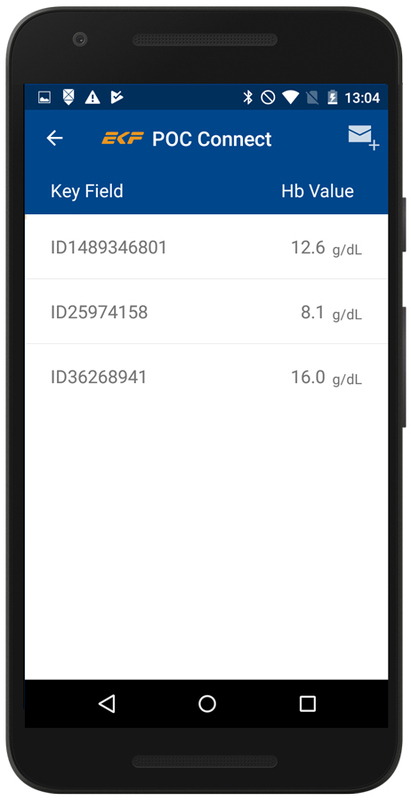 All you need is an android phone and a DiaSpect Tm device and you are able to record hemoglobin results and link with unique IDs, QC information, Cuvette LOT numbers, comments and dates and times. Flexible configuration options allow you to customize the recorded data per your needs. This data is held in a history list that can be transferred easily via a file download or through email to a central database or lab information system (LIS). The DiaSpect Tm device can be purchased with integrated Bluetooth, meaning there is no need to purchase an additional external Bluetooth® dongle. This new solution will prove useful in countries with challenging environmental and geographical conditions where remote hemoglobin testing and access to internet can often be challenging. 1. 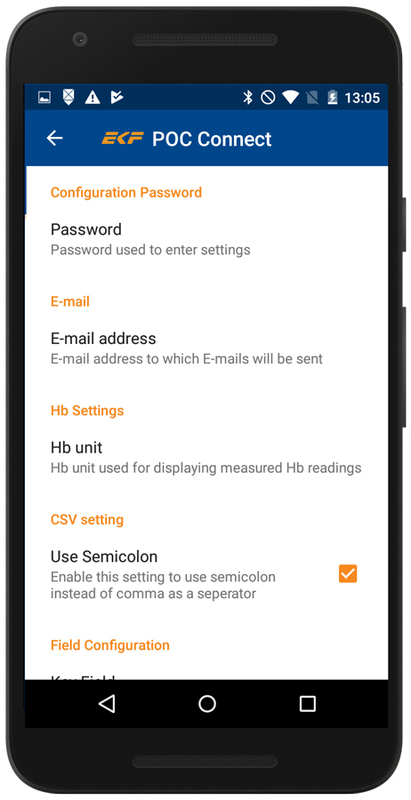 Sync results from your device to a smartphone via Bluetooth and add unique patient information. 2. Store multiple results on your smartphone for quick and easy access. 3. Export results to a protected CSV file for further processing by a central database or LIS.